The power of cranes lifting and hoisting heavy objects is amazing. They can elevate enormous objects that seem impossible to lift. 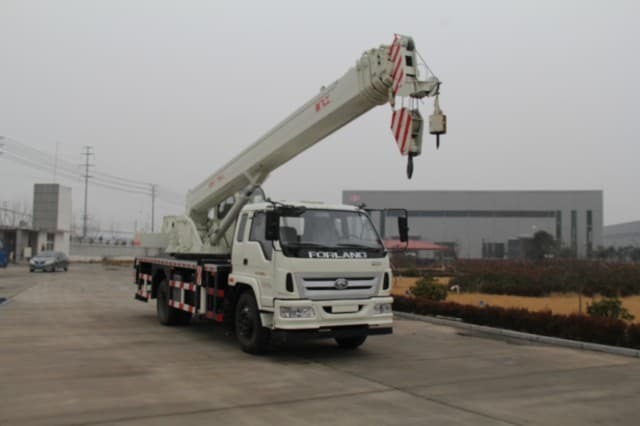 The crane truck can carry tons of massive equipment with ease and comfort. 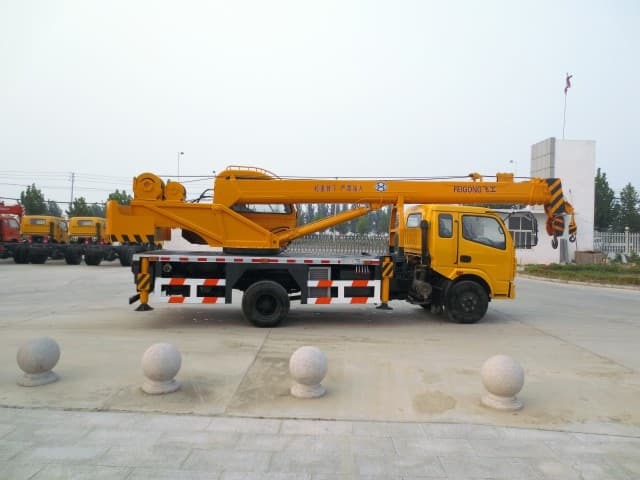 The reason for the tremendous strength that allows this amazing machine to have such an enormous lifting capacity lies in the simple concept of physics through the use of hydraulics. Pascal’s Principle states that if pressure is applied to an enclosed fluid, pressure is transmitted everywhere in the fluid without being diminished. 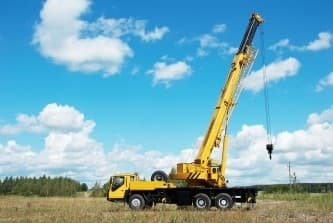 This simple principle is effectively applied to hydraulics to provide cranes with powerful lifting capability. These types of machines use incompressible liquid (oil) to transmit applied pressure. When a piston pushes the oil down in the cylinder, it creates and transmits force to another piston causing it to rise. 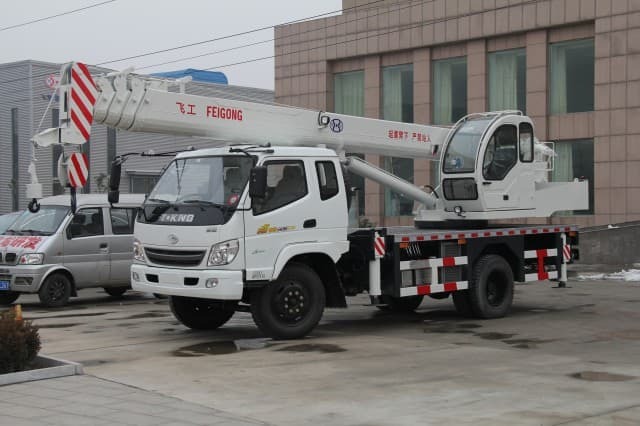 To multiply the force of the crane to lift heavy material weighing up to a thousand tons, it needs a mechanical advantage to manipulate the fluid and produce a positive effect. There are two types of pumps that are utilized in hydraulics: gear versions and variable-displacement versions. Both of the two types use diesel engines to function. Hydraulic cranes have dual-gear mechanical devices using pressure to move liquids that serve many purposes. This is important in raising and lowering the boom, moving the rotex gear, moving the outriggers and controlling the counter balance. The variable-displacement pump is sophisticated because it involves a series of hydraulic piston cylinders fixed in a ring inside a barrel. The power of the variable-displacement pump depends on the speed at which the engine is running. For the cranes to work efficiently, they have several controllers. 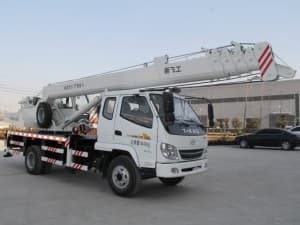 They have two joysticks which control the movement of the boom and foot pedals that manipulate the hydraulic pressure and the telescopic boom. 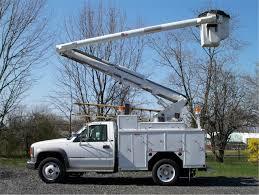 There is a controller to move the winch as well. 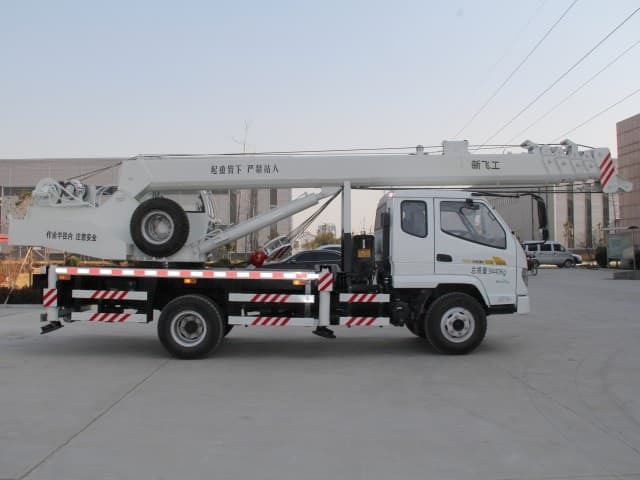 Another important instrument that can be seen inside the operator’s cab is the load moment indicator which warns the operator if they are lifting an object beyond the required lifting capacity. One important aspect that needs to be monitored to maintain maximum efficiency is being sure that no air bubbles are trapped in the fluid; the air is compressible and any bubbles will significantly affect the pressure generated by the hydraulic system. 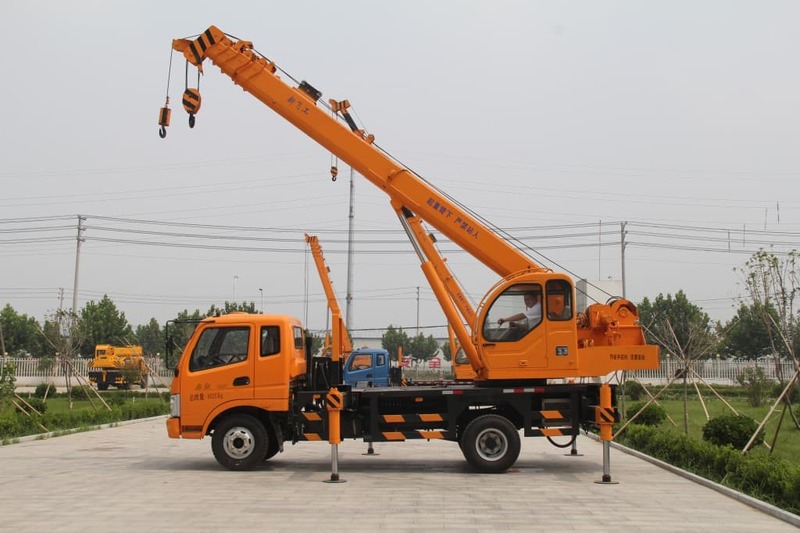 For any truck cranes of this type, maintaining the consistency of the incompressible fluid is vital to move massive weights. In early times, the first lifting machines were powered by men or horses. They were used for the construction of tall objects. To lift heavier weights, ancient people used tread wheels, which were usually powered by humans. As time passed, society found itself in the middle of the industrial revolution. 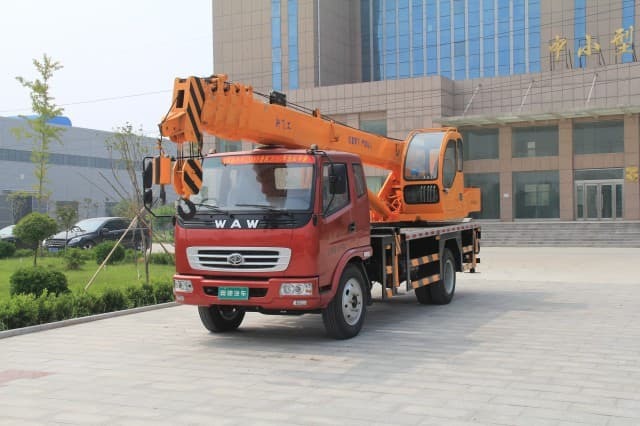 It was during that time that the first mechanically powered cranes were introduced. They were first run by steam engines and later by hydraulic systems. The adaptation of these systems for use in a crane has greatly impacted the construction industry. The use of pressurized liquids has enabled this simple machine to achieve a large amount of power which, in turn, creates the ability to lift up to a hundred tons. 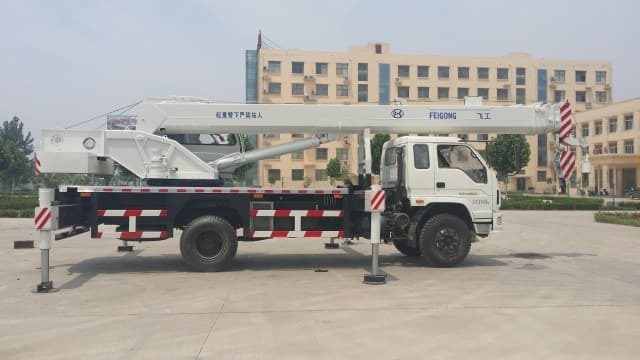 This simple but extraordinary machine has played an important role in the construction industry in past years and will continue to play a large role in the construction industry for many generations to come thanks to the marvel of hydraulics and cranes working together!